The foundation of our nation is the fundamental belief that the United States is a land of freedom, opportunity, and compassion. Indeed this week we celebrate Thanksgiving, a uniquely American holiday that enshrines this storied tradition. That foundation has been challenged in the past couple weeks, since the tragic terrorist attacks in places like Paris, Beirut, and Mali. Many public officials are calling for Syrian refugees to be turned away, fearing that they present a terror threat to Americans. As Catholics and Americans, we must remember our core values of compassion and justice. Indeed these values are the very reason the U.S. refugee program exists – to help people in need and continue to be a beacon of hope in the world. The refugee program is thorough in ensuring that the people entering the United States have no ties to terrorist organizations. Refugees go through the most extensive security checks of any people arriving to the United States. That’s why the process that can take up to two years, to make sure that we are resettling the right people. The United States deliberately resettles the most vulnerable people: most are women and children, and only two percent are single men. All are fleeing violence like what the world witnessed in Paris, but on a more frequent basis. Since the terrorist attacks in September 2001, more than 784,000 refugees have been accepted into the United States, with no terrorist attacks occurring in the United States. The refugee program is an expression of our solidarity with refugees, as well as with our important allies around the world. Since 2011, when the Syrian conflict began, the United States has resettled a little over 2,000 Syrians; this is but a fraction of the four million Syrian refugees who have fled their country in search of safety. Next year, the United States has indicated its willingness to accept 10,000 Syrian refugees to show solidarity with Middle Eastern and European countries who are hosting millions. 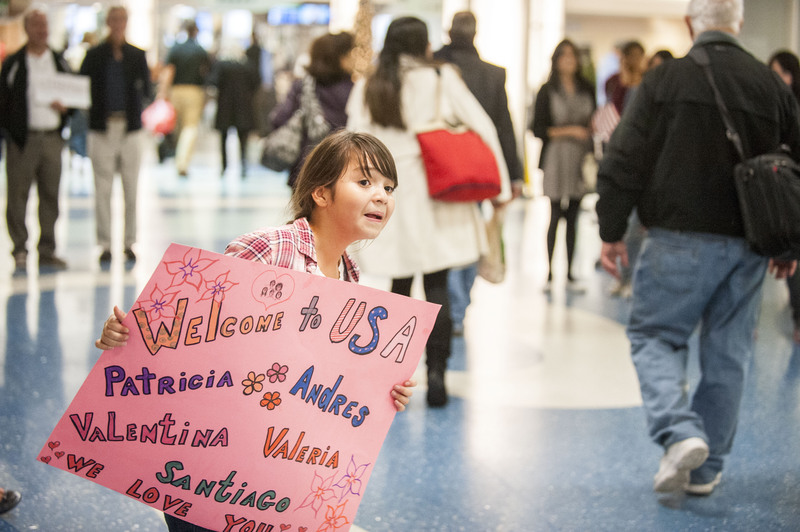 By accepting refugees into the United States, we stand shoulder to shoulder with our allies around the world, helping people who have nowhere to go and yet have so many skills and talents to offer our nation. 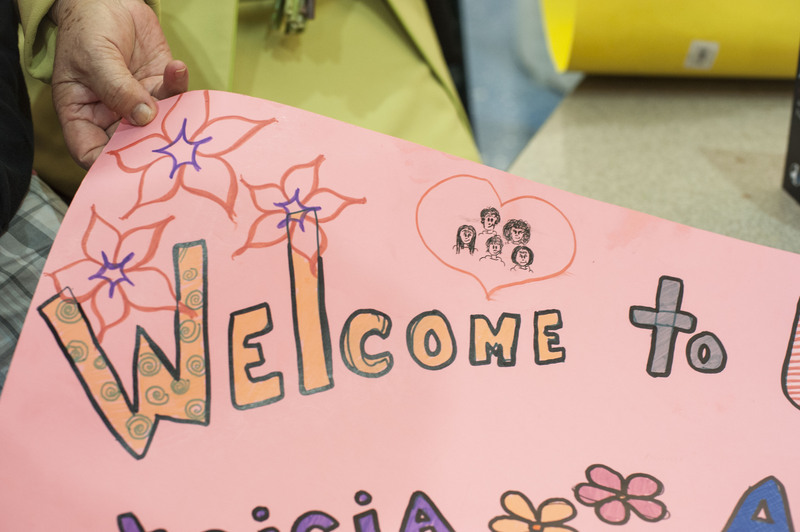 Migration and Refugee Services at USCCB has been resettling refugees for fifty years. We know how to do this in a way that facilitates their integration into American society. For example, the Parishes Organized to Welcome Refugees (POWR) program matches arriving refugees with community and parish volunteers who assist the refugees in navigating their new lives in the United States. This program also offers an opportunity for Americans to live their faith in a concrete way, for the benefit of all in their community. In his visit to Lampedusa and in his calls to Catholics to help, Pope Francis has defended the rights of all Syrian refugees. In his message to Congress, Pope Francis urged us to treat others as we wish to be treated: “The yardstick by which we measure others is the yardstick by which time will measure us.” This is the Golden Rule, which applies to all. Let us remind ourselves and our fellow Americans that we, like generations before us, came to this country to find safety and freedom, just as Syrians and others around the world seek now. Let us not forget what we stand for as a nation and as a people of faith. Kevin Appleby is the Director of Migration Policy and Public Affairs at Migration and Refugee Services, United States Conference of Catholic Bishops.